Stable Cottage is a most attractive stone built character property enjoying easy commuting. A double fronted traditional Northumbrian farmhouse situated on the outskirts of Humshaugh enjoying southerly views over open countryside with the benefit of grazing (nearly 2 acres). 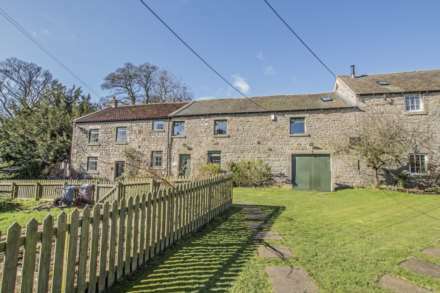 A traditional Northumbrian farmhouse with attached two storey barn converted and integrated into the domestic accommodation, together with the benefit of single storey ‘L` shaped attached barns and stores. A large Grade II listed stone built barn conversion situated towards the northern perimeter of Newton village providing generous accommodation with much character as well as walled gardens and views. A detached, period stone-built cottage providing spacious and versatile five bedroomed accommodation, set in its own grounds with ample off-road parking and outbuildings. A two bedroom terraced property located close to the village centre with parking and garden. A three bedroom, two bathroom stone-built cottage, ideally positioned for a commuter, with generous gardens and steeped in character. A light and airy bungalow with magnificent views over the Northumberland countryside and situated in a quiet cul-de-sac with easy access to local shops. A three bedroom detached single storey cottage with exceptional countryside views. A fully furnished apartment on the first floor with a car port and garaging just off the centre of Hexham. A recently refurbished and delightful one bedroom cottage within the centre of Matfen.